Protect paws and legs! Boots with superior traction and extended height will withstand extreme winter conditions while keeping your dog totally dry! Hi-Toppers are extra tall winter dog boots with a high traction, rugged sole to help dogs navigate slippery terrain and will keep your dog's footing secure even on ice. 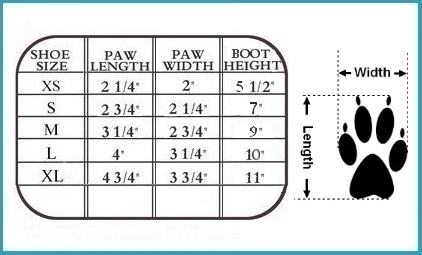 The extended height will ensure the boots remain on and the paws and legs stay dry. The polar fleece interior will keep your dog warm on the coldest of days. The boots are good quality . My boy just had all of his toenails fall off and I needed to keep his feet dry so they could heal, the boots go on nice but they slip around on his feet . They end up working off . Great traction on the bottom! Fleece lined for warmth for the winter. Overall , a great boot. 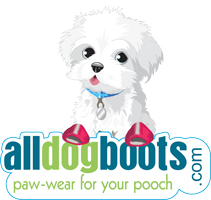 We have been trying many brands and finally someone came up with a proper design that prevents the boots from flying everywhere when the poor doggy tries to run a bit! I purchased these for my parent's dog Buddy, who had a partial amputation of his foot bed on his front paw. These boots are perfect for protecting that sensitive spot of his foot thanks to a super soft fleece interior and help give him greater mobility/traction due to the molded footbed. The two Velcro straps on each boot help make sure they don't slip off on his walks, even in deep snow. Couldn't be happier! We've had these boots for only a couple of days but it was Polar Vortex days in Chicago, so they already have had a workout. We're still working on getting his foot all the way into the boot before securing the velcro straps, but each day gets better. I especially love that I'm not going to have to deal with the snowballs in his hair on his legs. I cannot say enough how great these Hi-Topper boots are. First I was shocked that my super hairy sheepadoodle allowed me to even put boots on his feet, let alone walk in them! The boots were very easy to put on, I think being taller boots made it much easier and the two velcro straps were easy to secure around his legs. I think my dog liked these boots more than me, no more painful ice balls between the pads on his paws and he was able to walk, run and play in them just fine. I definitely recommend these boots for anyone with a doodle! They also keep the snow balls from accumulating on the legs which means no more drying the dogs feet and legs after being out in the snow. So happy we found these boots, great purchase!